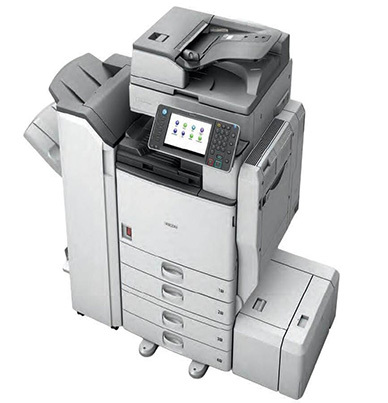 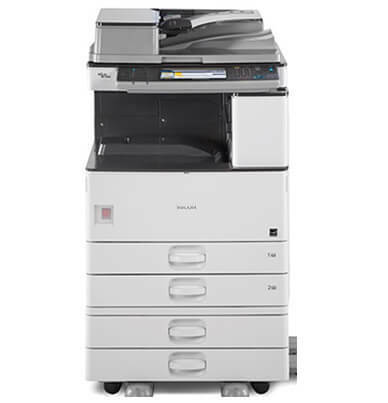 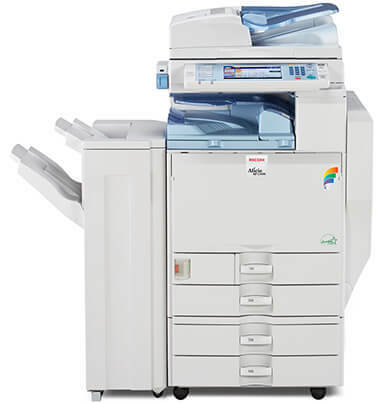 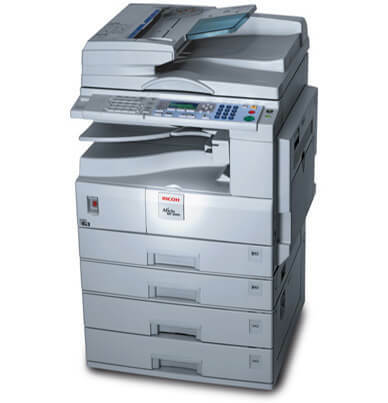 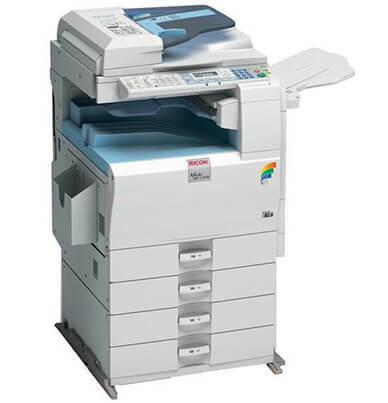 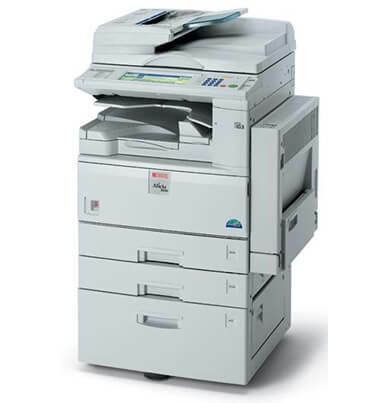 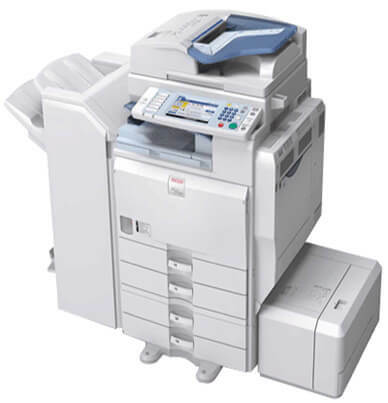 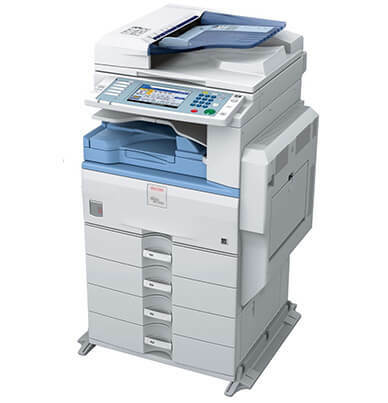 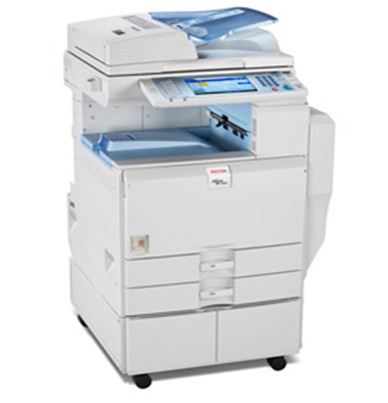 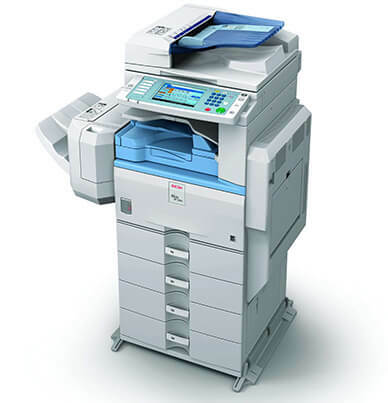 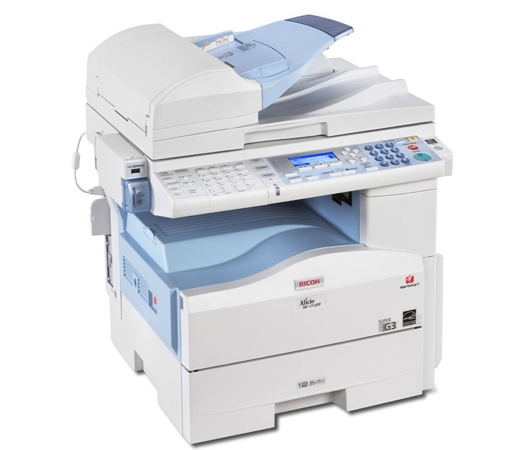 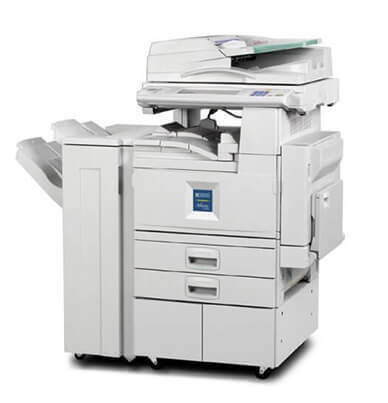 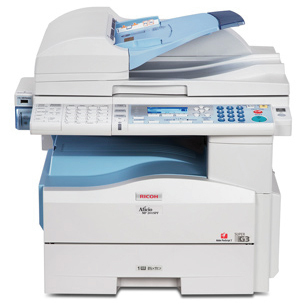 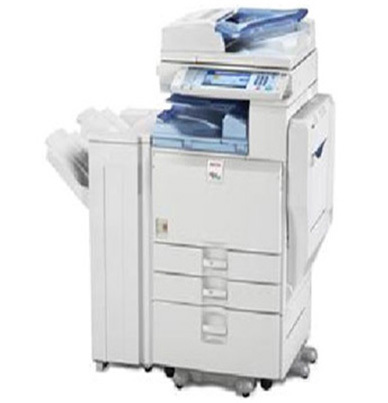 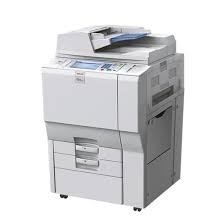 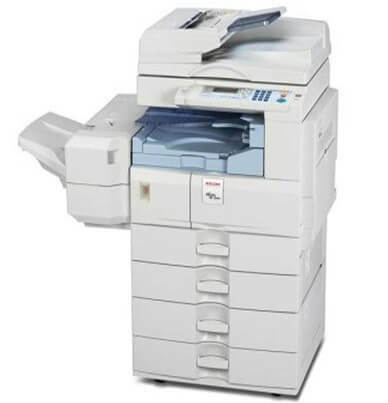 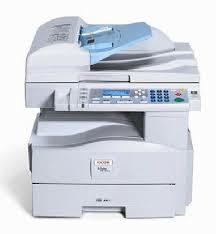 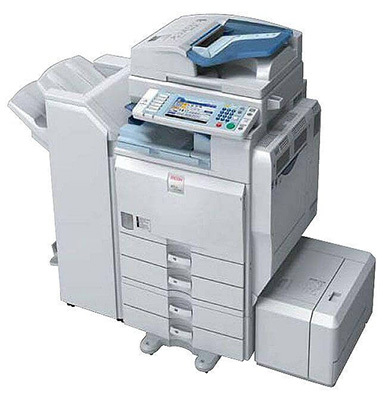 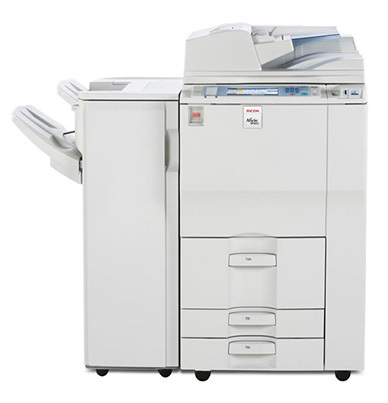 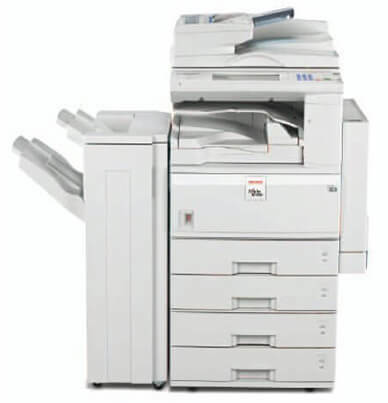 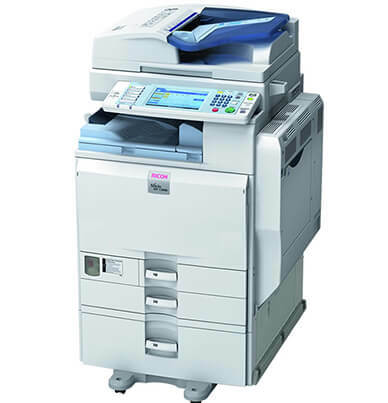 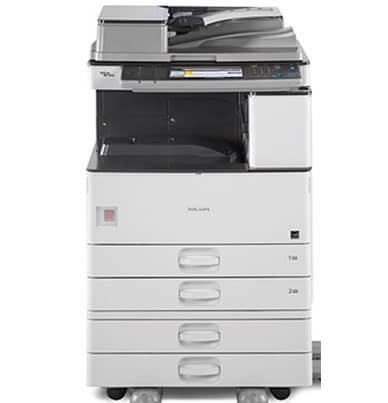 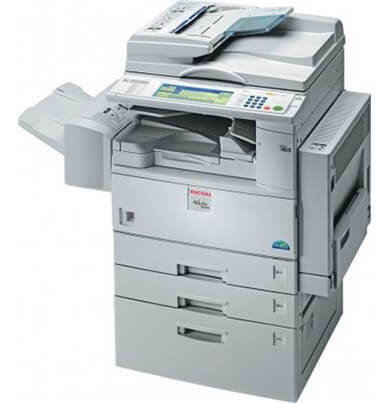 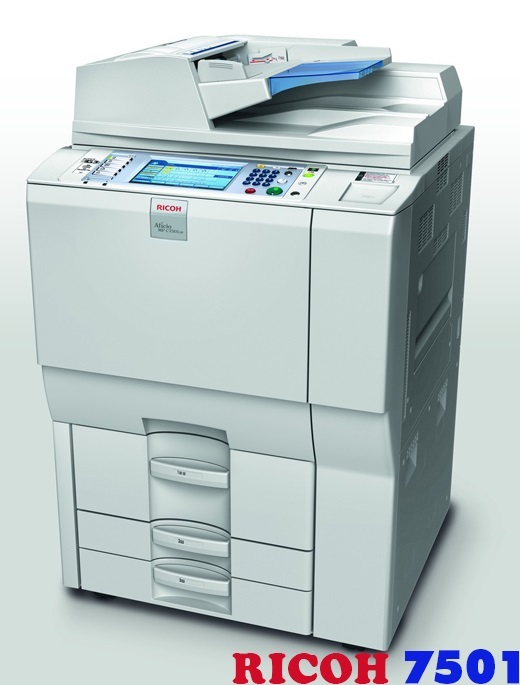 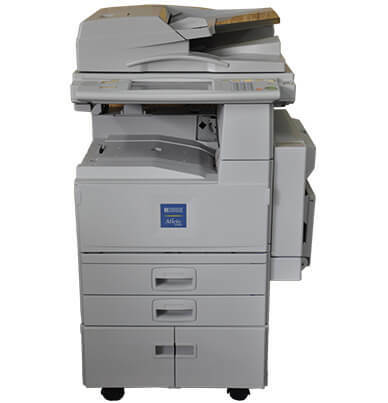 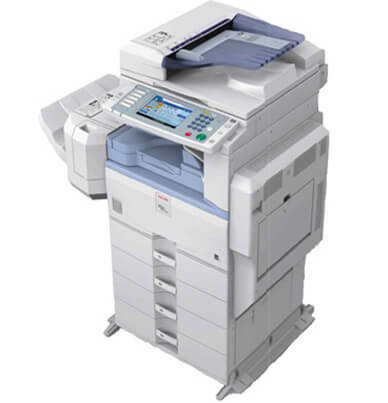 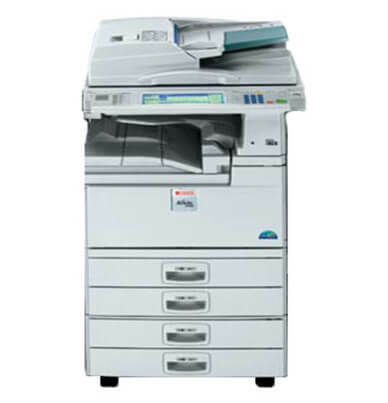 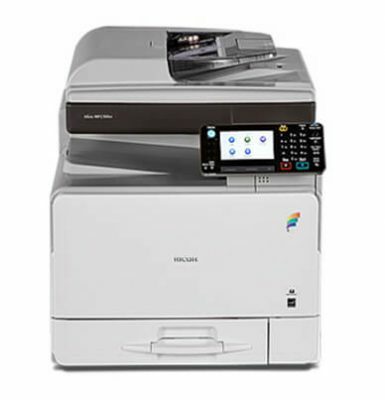 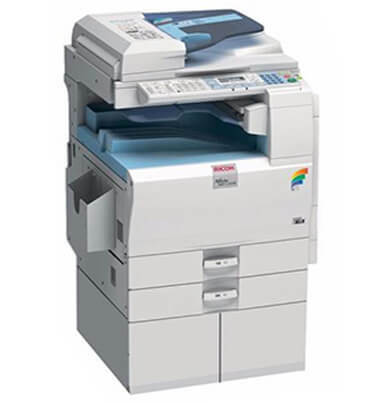 The Ricoh Aficio MP 4002 copier can be combined with print, fax, and scan capabilities to streamline everyday document tasks. 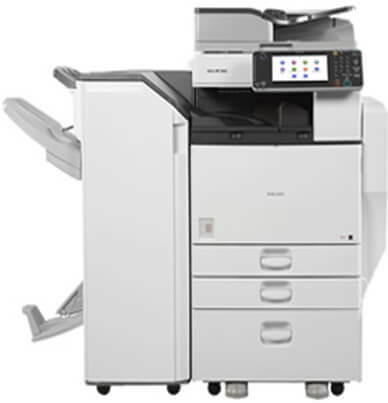 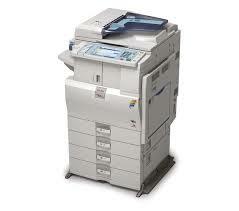 Meet busy copying needs with an output speed of 40 copies-per-minute and a first print out time of 4.1 seconds. 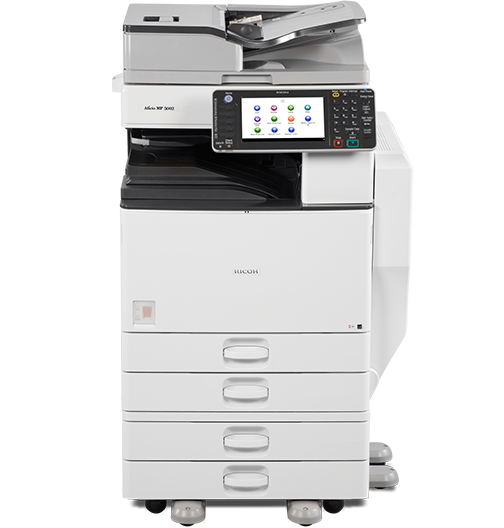 The Aficio MP 4002 s customizable control panel allows access to cloud-based solutions and support for mobile users with first-rate security features. 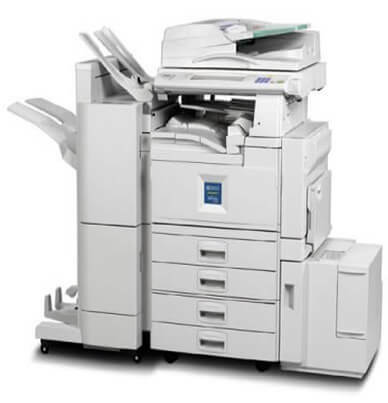 The easy-to-replace toner on the Aficio MP 4002 is easily accomplished with one hand. 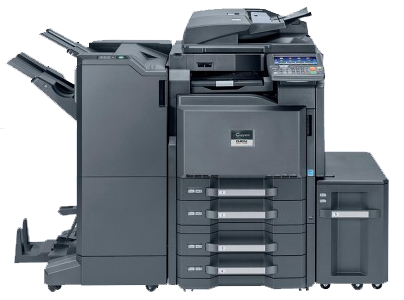 The genuine Ricoh Aficio MP 4002 black toner (480-0397) has a robust estimated yield of 30,000 pages @ 5% page coverage. 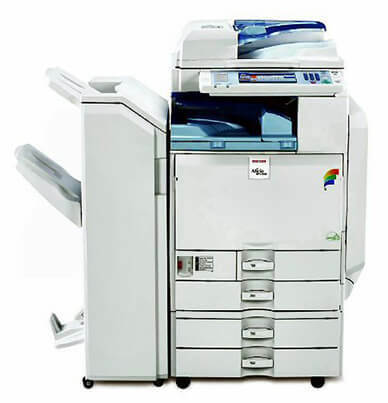 Precision Roller offers a variety of consumables for the Aficio MP 4002. 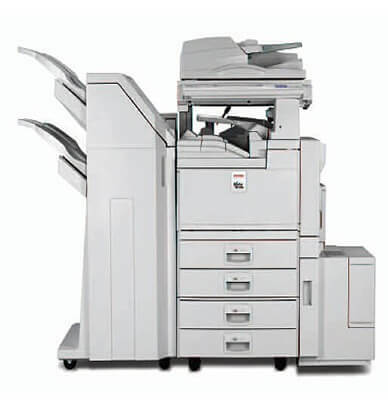 The Aficio MP 4002 dual paper drawers will accommodate 550 sheets each. 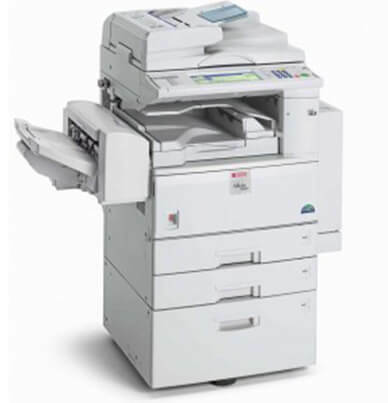 The 100 sheet automatic reversing document feeder (ARDF) will handle multi-page and double-sided documents. 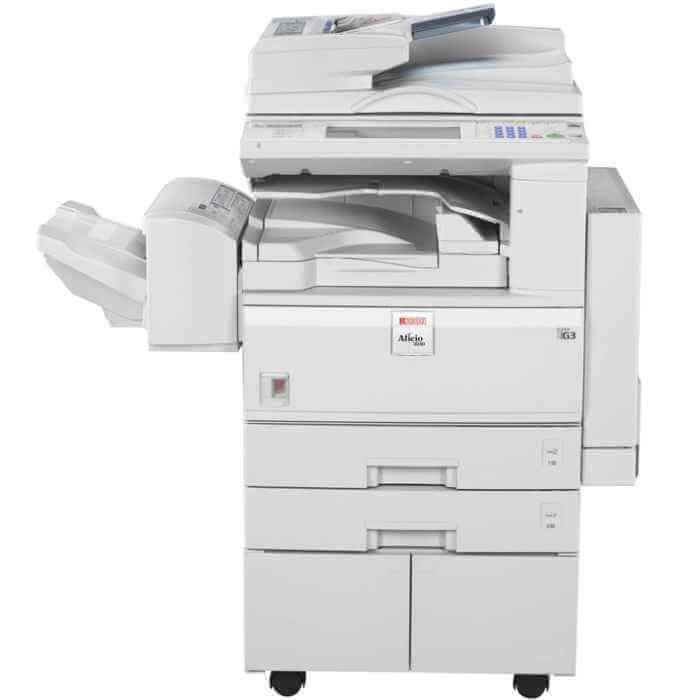 The Aficio MP 4002 has the versatility and capability of completing a wide range of projects, with optional finishers and additional paper trays.